Select the value corresponding to the report you are looking for or just keep it on All Reports. 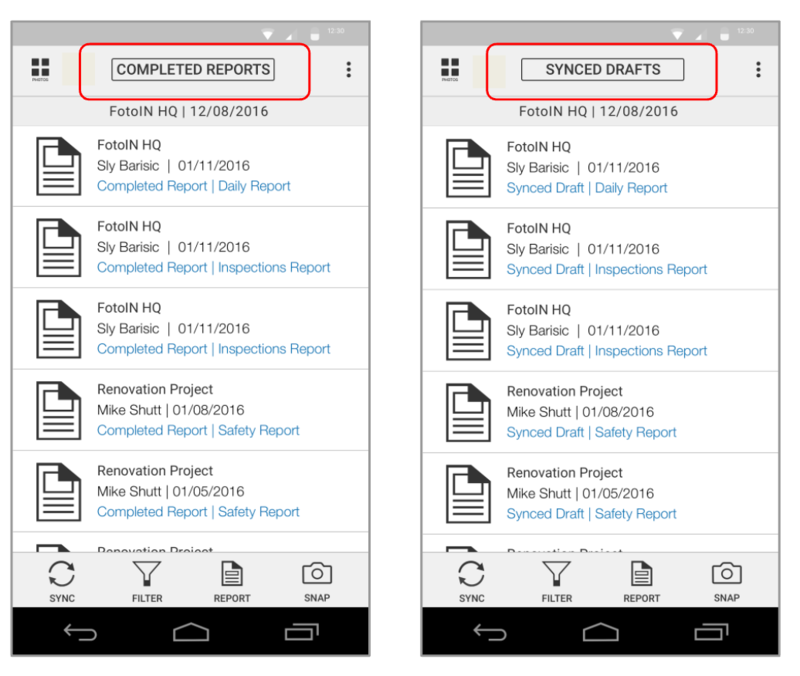 TIP: Don’t forget the reports are sorted chronologically with the Unsynced Drafts on the top, Synced Drafts next and all the Completed reports on the bottom. 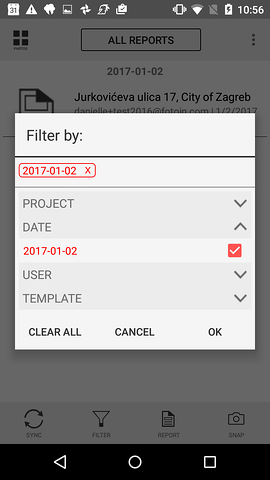 To clear the filters, tap on Filter again and tap Clear All. In view mode you can swipe left/right to view the previous/next photo within the filtered selection. TIP: All of the information within your photos is searchable (project names, tags, annotations, comments, etc.). Tap on the menu icon in the top right corner to open the ‘More Menu’ and select Delete. 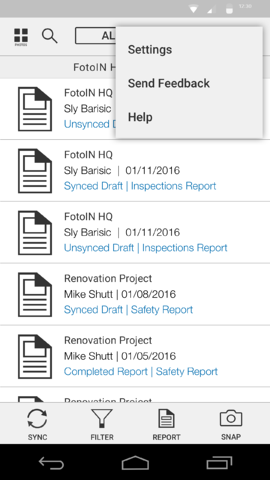 TIP: Make sure your reports have synced to your storage account before deleting them from the Gallery.